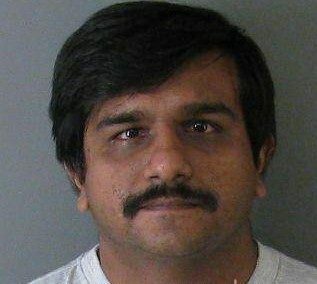 Atlanta, GA, March 21, 2019: Mehboob Mansurali Charania, 40, a citizen of India residing in Tucker, Georgia, pled guilty recently to serving as an unlicensed money transmitting business for payments induced by several types of telemarketing fraud schemes, including technical-support fraud. According to the charges, Charania received payments from victims via Western Union and MoneyGram using fake identification documents and fraudulent information, and deposited victim proceeds into bank accounts. The charge to which Charania pled guilty carries a five-year maximum penalty. Technical-support scams have been flourishing, said a press release issued by the Justice Department. They are perpetrated in several ways: Fraudsters make telephone calls and claim to be computer technicians associated with a well-known company or they may use internet pop-up messages to warn about non-existent computer problems. The scammers claim they have detected viruses or other malware on the victim’s computer. They pretend to be “tech support” and ask that the victim give them remote access to his or her computer. Eventually, they diagnose a non-existent problem and ask the victim to pay for unnecessary – or even harmful – services. Charania’s case was part of several announced today that targeted U.S-based defendants who helped call centers in India to commit technical-support fraud. U.S.-based individuals, sometimes known as “runners,” “money mules,” or “payment gateways,” collected victim payments through various means, kept a fee, and transmitted profits to India-based call center operators. Charania was arraigned last November on charges relating to his involvement in a transnational criminal organization that victimized over 340 people in the United States through a fraudulent India-based call-center scheme, resulting in over $200,000 in losses. Charania was indicted by a federal grand jury on November 6, 2018. The defendant allegedly took part in a sophisticated scheme organized in India, including a network of call centers. Call center operators allegedly telephoned U.S. residents and misled the potential victims into sending money utilizing a number of different confidence scams. The scams included IRS impersonation scams where the callers pretended to be IRS employees demanding payment of taxes and fees. Other scams included grant scams where callers directed victims to pay upfront fees for fictitious grants, student loan scams where callers threatened victims if they did not pay fictitious taxes and fees associated with student loans, and hacking scams where callers would gain remote access to the victim’s computer, lock the victim out of the computer, and deny access to the computer until the victim provided payment. If the victims agreed to pay, the call centers allegedly would have the victims send the funds to the attention of fictitious names used by Charania through wire transfers, including through MoneyGram and Western Union. The indictment charges Charania with wire fraud and operating an unlicensed money transmitting business. The case is being prosecuted by the U.S. Attorney’s Office for the Northern District of Georgia.